Fig. 2. The Campus Martius as it may have appeared before the foundation of Rome The Theater of Pompey stood on the southern section of ancient Rome’s Campus Martius, the Field of Mars. As its name suggests, in the period when the Senate ruled Rome (the “Republic,” 509 B.C.– 31 B.C. 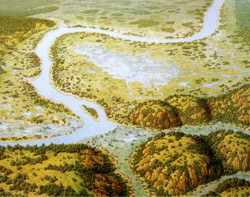 ), this largely empty space was the site where the Roman citizen army assembled before marching out against the city’s enemies, and its chief topographical features (marshes, streams, a sizeable lake) did not encourage extensive construction. But, by the late second century B.C. some buildings were already beginning to go up, and after Pompey, the conqueror of Asia Minor (Turkey) and Syria, constructed his massive theater, in 55 B.C., the whole area developed rapidly. 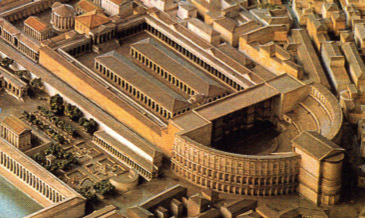 By the early second century A.D., private citizens and the emperors had filled the entire zone with elegant public and private buildings. Fig.3. 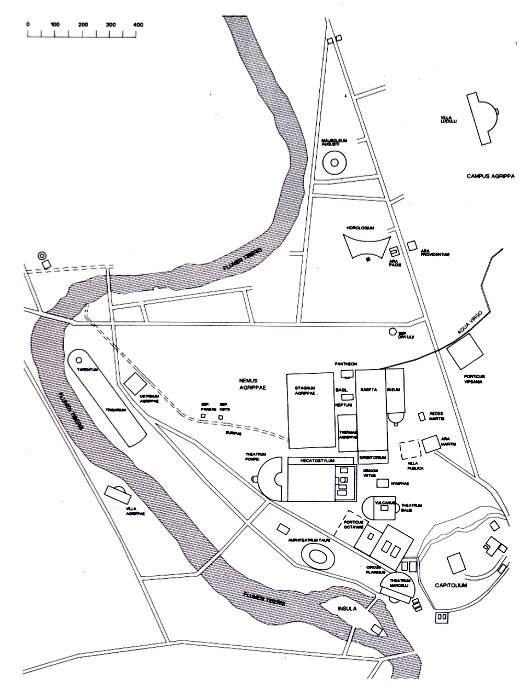 The plan of the Campus Martius in the first century A.D. 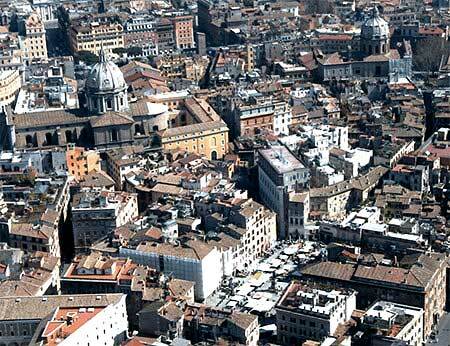 The “Campo Marzio” today is the heart of modern Rome’s “Centro Storico,” (historic center).